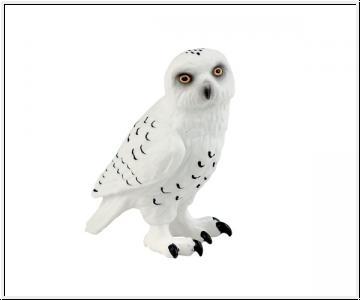 The snowy owl is perfectly adapted to a life in the ice and the snow. Its entire body is wrapped with feathers. It can also store up to 800 g of fat so that it really won’t freeze. Their vision is 10 times sharper than the vision of humans. In addition, they can turn their head 270 degrees. This ability helps them to look for prey. Like other owls, it likes to hunt at dusk, but it doesn’t mind having to search for prey during the day as well. If it sees its favorite prey it will hunt whether it is day or night. This includes lemmings and ptarmigan.